They are for the night. I’ve had several compliments on my Serfas Thunderbolt. 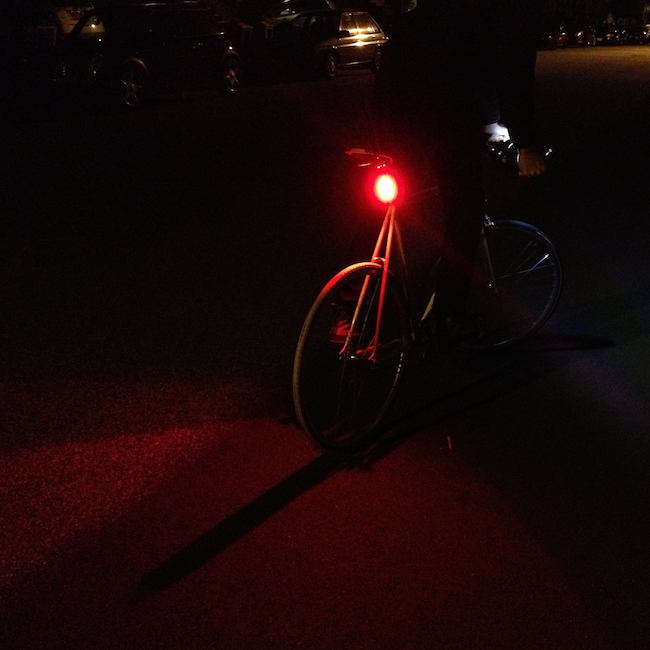 Here’s the rear/red light. An array of LED’s — its battery is decent, and it’s USB-charged. Best of all: it’s bright. It’s in the shop now! This entry was written by Grayson, posted on March 21, 2013 at 11:59 pm, filed under Products. Bookmark the permalink. Follow any comments here with the RSS feed for this post. Post a comment or leave a trackback: Trackback URL.